Sometimes Support Issues can be a bit to complicated to explain in a Support Ticket. For these times Wave Internet offers Live 15-Minute Phone / Remote Support Sessions with Remote Support Login Services. Wave Internet will Log onto your computer while talking with you on the phone and help you with your issue saving you valuable time and money. 3.) 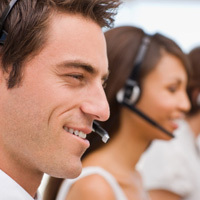 State your Name, Company and Say Phone Support and a representative will assist you.